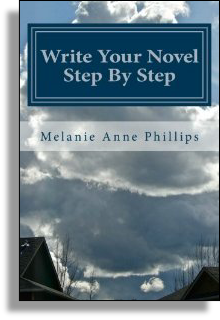 In Step 2, we explored the purpose of and methods for clearing your mind by jotting down any initial ideas you may have before trying to further develop your novel. In this step, your goal is to be able to write a single sentence that expresses the essence of what your story is about. Having a core concept will provide you with a creative beacon – a lighthouse by which to navigate your creative efforts so they stay on course to your ultimate purpose: a completed novel. While this seems fairly simple, it can be a lot harder than it looks. 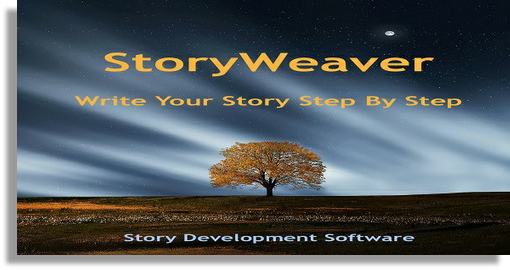 It is the rare writer who has a focused concise story concept right from the beginning. Many discover the essence of their novel during the development process or even as they write. As described in step 2, most writers fall into two categories: those with a general sense of what they want to write about and those with a collection of story elements they’d like to include. Some writers have both, but still no solid center to it all. Without a core concept, the first inclination is to try to pull all the good ideas they have for their novel into a single all-encompassing story. Problem is, people think in topics more easily than they think in narratives. And while all the material may belong to the same subject matter category, more often than not it doesn’t really belong in the same story. Still, no one likes to abandon a good idea – after all, they aren’t that easy to come by. And so, writers stop coming up with new ideas as their attention turns more and more toward figuring out how to connect everything they already have. This can create an every growing spiral of structural complexity in the attempt to fit every notion and concept into a single unifying whole. And before you know it, your inspiration and enthusiasm have both run dry to be replaced by creative frustration with a candy coating of intellectual effort that is not unlike trying to build a single meaningful picture from the pieces of several different puzzles. To determine the central vision for your novel try these techniques. First, shift your focus from what your story needs, and ask yourself what you need. More precisely, consider why you want to write this story in the first place. What is it that excites you most about this subject matter? Is it a character, a plot line, a thematic message or topic, or just a genre or setting or timeframe or…? Refer to the list you created in step 2 of your general concept and/or all the elements you have been pondering to possibly include in your story. Next, consider your own personal interests and prioritize that list, putting the items you most want to include at the top and those less compelling at the bottom. Now, block the bottom half of the list to see only the top items. These are the aspects of your story that are most inspiring to you and represent the heart of your story. Think about them as a group and see if you can perceive a common thread. Snow Sharks (Don’t Eat Red Snow) - A group of rich teenage ski-bums are terrorized by escaped sharks that have been genetically altered by the U.S. government to act as mobile land mines in potential arctic wars. House of W.A.C.S. – In 1942, this cross between Animal House and The Dirty Dozen follows one of the first groups of young women in the newly created Women’s Army Corps as they learn to work together as a team to thwart a Nazi fifth column and protect a crucial war factory. 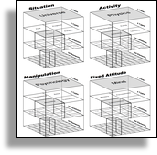 Using these as a guide, try to write a sentence that describes the core concept you see in your work from step 2. I’m fascinated with the notion of an archeologist finding a modern device embedded in the ruins of an ancient civilization. If you have the opposite problem and your wealth of story ideas is so wide-ranging or diffuse to easily see the thread, try writing several log lines, each of which touches on one aspect of what you see in your step 2 work. Each of these sub-log lines will help focus a different part of what you’d like your story to be. So, rather than trying to find the core directly from your original list, try to see the central concept outlined by your collection of log lines. Hopefully, by using some or all of these techniques, you’ll be able to answer the question, What’s the Big Idea? But if you can’t, don’t worry. Some writers need to add to their collection of story elements before the big picture emerges. In step 4, we’ll walk through a really useful method for using your existing concepts as seeds from which to grow new ideas. So, if you don’t yet have a log line, you soon will as you begin to integrate this additional material into your evolving story.